Hollis Johnson/Business InsiderApplebee’s parent company is in the middle of a legal battle with one of its largest franchise groups. Applebee’s parent company, Dine Brands, and its second-largest franchisee, RMH Holdings, are battling in court, with Dine Brands attempting to take control of dozens of the franchisee’s restaurants. RMH controls more than 140 Applebee’s locations and filed for bankruptcy in May, blaming Dine Brands’ “ill-advised and value-destroying” decisions for struggling sales and millions of wasted dollars. The franchisee filed for bankruptcy at 3:30 a.m. on May 8, hours after Dine Brands’ CEO issued an ultimatum: send $US12 million in unpaid royalties by the end of the day, or lose your restaurants. Dine Brands claims that RMH owes the company more than $US23 million in unpaid and lost future royalties and other fees. There’s a battle raging within Applebee’s. On one side is the chain’s parent company, Dine Brands. On the other is Applebee’s second-largest franchisee, RMH Holdings, which filed for bankruptcy earlier this year – at 3:30 a.m. on Tuesday, May 8, to be exact. In the phone call, which is said to have lasted less than five minutes, Joyce said that if the franchisee didn’t wire Dine Brands $US12 million by the end of the day, dozens of the franchisee’s stores would be shut down, according to three people with knowledge of RMH’s thinking on the matter. RMH said it was a shocking ultimatum, with one source with direct knowledge of the conversation calling it the equivalent of “having a nuclear bomb dropped on your head.” This person asked to remain anonymous so as to be able to speak frankly about the situation. Before filing for bankruptcy, RMH had refused to pay royalties for almost a year. The franchisee additionally stopped paying advertising fees four months earlier, in January. A court filing by RMH says the franchisee believes it had every right to stop paying the fees because of what it saw as “ill-advised and value-destroying” decisions on the part of Dine Brands. Dine Brands’ CEO has said he feels differently. Dine Brands claims in a lawsuit that RMH owes the company more than $US23 million in unpaid and lost royalties and fees, and it is demanding the franchisee hand over control of dozens of restaurants because of the termination of its franchise agreement. 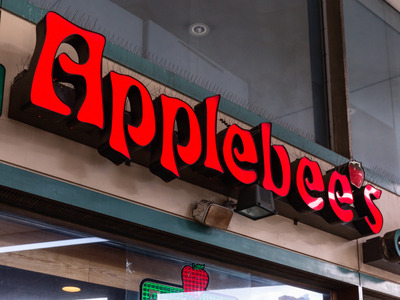 RMH, in a counterclaim, says the agreement was not terminated, and it is instead demanding that Dine Brands reimburse the franchisee for damages linked to what it says was mismanagement on the part of Applebee’s parent company. The counterclaim says those damages could be millions of dollars in total. 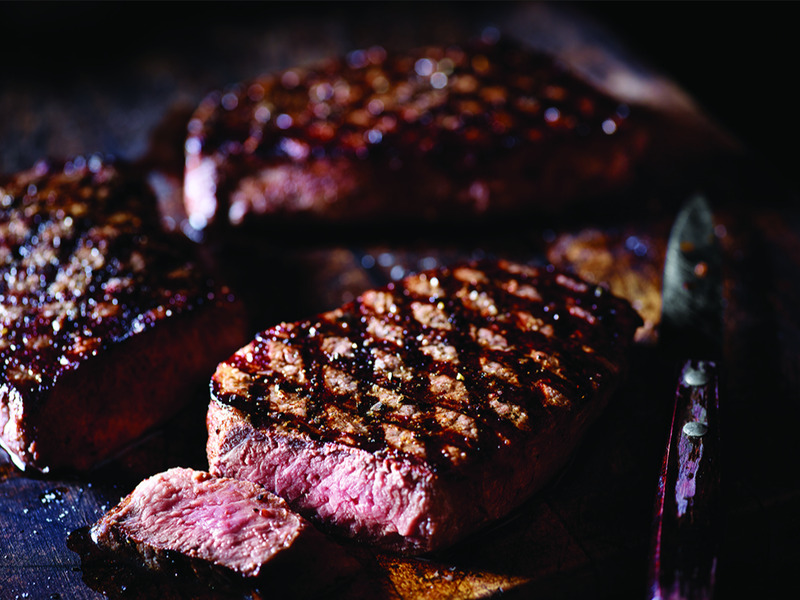 Applebee’sApplebee’s wood-fired steaks cost franchisees millions. While many restaurant-chain companies own and operate at least a portion of their locations, Applebee’s is 100% franchised. Every Applebee’s restaurant in the US is owned by one of just 34 franchisees. In exchange for the use of the Applebee’s branding and national marketing support, franchisees are expected to make monthly royalty payments along with contributions to an ad fund as part of their franchise agreement. When franchisees refuse to pay royalties, the entire business model can be ruined. One franchisee refusing to pay royalties is something that can be handled at a chain with thousands of franchisees; when one of less than 40 total franchisees stops paying royalties, it can seriously impact a company’s bottom line. The problems between Dine Brands and RMH began not long after the franchise group was founded in 2012 as one of private-equity firm ACON Investments’ portfolio companies. At the time, Dine Brands was called Dine Equity. It changed its name in February 2018. Applebee’s, famous for its “eating good in the neighbourhood” motto and two-for-$US20 deals, began pushing to make the chain seem more upscale in 2014. In 2015, Applebee’s moved its headquarters from Kansas City to Glendale, California. That same year, it announced plans to make adjustments to 40% of its menu items. In May 2016, Applebee’s executives announced that all 2,000-plus locations across the US would install wood-fired grills, which the chain said at the time would require an investment of more than $US40 million by the chain’s franchisees. RMH said in a June 2018 court filing that the grills and related expenses cost it almost $US3 million. 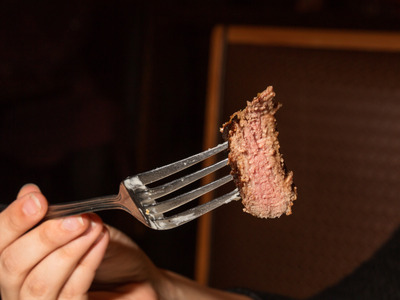 The costs included $US180,000 that the franchise group said it spent on steak that ended up being wasted as employees learned how to cut the meat by hand. RMH said in its counterclaim that Dine Brands’ “mismanagement reached its crescendo” with the installation of the wood-fired grills, saying the initiative proved to be a “colossal failure.” Other franchisees also pushed back on the rollout, calling it a “disaster,” RMH said in the counterclaim. RMH estimates that the value of its business had decreased by more than $US141 million, comparing the twelve months leading up to April 2018 to the twelve months leading up to April 2016. The investments were expensive, and customers simply didn’t appear to be interested. Comparable sales fell a whopping 5% at Applebee’s in fiscal 2016. Finally, in late December 2016, a group of franchisees that included RMH requested that Applebee’s March 2017 menu not feature the hand-cut steaks at all. Applebee’s agreed. By February 2017, Dine Brands announced that CEO Julia Stewart, who had engineered the company’s takeover of Applebee’s in 2007 and led the push for hand-cut steak, had left the company. 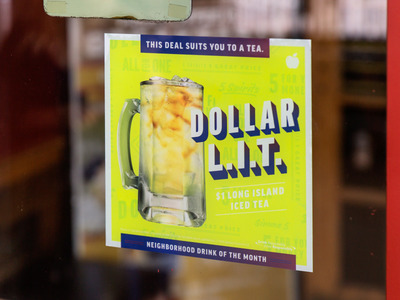 Hollis Johnson/Business InsiderApplebee’s ditched attempts at being upscale and doubled down on deals in 2017. In March 2017, Applebee’s announced it had hired John Cywinski to take over as Applebee’s president and engineer the chain’s turnaround. Cywinski had previously worked at the chain from 2001 to 2006, a period that Greg Flynn, CEO of Applebee’s largest franchisee, Flynn Restaurant Group, told Business Insider were the chain’s “glory years.” Cywinski already knew some of the longer-term franchisees, including Flynn, and was upfront about the mistakes Applebee’s had made. Cywinski described 2017 as the year in which Applebee’s needed to stabilise its business, with the chain ditching upscale steaks for deals like the $US1 margarita. Same-store sales finally turned positive in the fourth quarter of 2017, and they have continued to be positive for the first two quarters of 2018. Still, RMH and a number of other franchisees were struggling financially, resulting in issues with paying royalties to Dine Brands and contributing to the company’s advertising fund. Dine Brands hired Trinity Capital Investment Banking, a firm with experience restructuring chains like Burger King and Taco Bell, in early 2017, to advise franchisees. As of the end of June 2018, Applebee’s had $US14 million outstanding in loans to franchisees. RMH said it stopped paying its monthly royalties in June 2017, after nine straight quarters of the franchisee’s stores experiencing declining sales. The company stopped paying advertising and other fees in January 2018. Hollis Johnson/Business InsiderApplebee’s also ditched fire-grilled steak for classics. “Despite repeatedly conceding its missteps, the Franchisor never offered help to the franchisee network, such as reducing royalty rates, providing a royalty vacation, or doing anything else to help offset the financial damage it had caused the franchise network,” RMH said in a June court filing. A Dine Brands spokesperson said in an email to Business Insider that the company’s turnaround plan is working for partners and franchisees who have demonstrated an “individual commitment” to the plan. She added that Applebee’s has invested in the success of its franchisees, and that the company is seeing “some of the best sales and traffic in a decade,” with same-store sales growing 5.7% in the most recent quarter. In a 100% franchised system such as Applebee’s, the parent company’s revenue depends on royalties, which are based on a percentage of sales. Executives are incentivized to get the franchisee to start paying again – and fast. And with Joyce starting as CEO in September, Dine Brands was ready to turn up the heat. “When a franchisee fails to meet its legal and financial obligations, we are forced to take action to protect the brand for the benefit of the restaurants and fellow franchisees who are paying their share,” the Dine Brands spokeswoman said. In September, Dine Brands sent RMH a notice of default, saying that the company owed more than $US3.4 million in royalties. While the notice had originally said that RMH was required to pay in 90 days, the deadline was pushed back in December, adding on another 30 days. More days were added in January, in February, in March, and – one final time – on April 8, at which point Dine Brands stated RMH owed the company at least $US12,161,823. RMH, meanwhile, wanted to pay back other lenders before playing catch-up with royalty payments. While sales were turning around and RMH’s cash flow was increasing, sources familiar with the franchisee’s thinking say the company expressed desires to pay back other debts before dealing with its franchisor. After the turmoil of the hand-cut steaks, Dine Brands had given a number of franchisees some leeway on payments; now that RMH had as much as $US18 million in cash, the franchisee and franchisor clashed on who RMH should pay back first. Dine Brands and RMH went back and forth for months, from September to April, with discussion and proposals regarding how much RMH should be required to pay and the date that the franchisee needed to pay it, according to court filings. According to Dine Brands,RMH’s failure to pay the money by April 27 meant that the franchisee had lost its rights to operate Applebee’s locations on that day. “After numerous attempts to resolve the situation, we had no choice but to take action,” the Dine Brands spokesperson said. RMH denies that Dine Brands had terminated the agreements. The lack of formal notice prior to the franchisee’s bankruptcy filing, according to RMH court filings, means that the agreements are still valid and the franchisee is still free to continue running Applebee’s locations. But, everything would come to a head soon. According to three people with knowledge of the situation, RMH expected the conversation to be a continuation of the previous months’ slow work toward a solution. Representatives from RMH had been in touch with Applebee’s over the prior week, and Dine Brands executives had attended RMH’s annual general manager conference, held from April 30 to May 3. Per sources with knowledge of RMH’s thinking, Daniel Jinich, a managing partner at ACON, the private-equity firm that owns the franchisee, had set up the phone call to discuss a potential meeting between RMH, Dine Brands representatives, and other lenders to the franchisee. Instead, RMH claims in its court filing that Jinich and Robert Hersch, a senior managing director at financial advisor Mastodon, faced an ambush. In the phone call, which apparently lasted less than five minutes, Joyce allegedly said it was “too late” for RMH to attempt to work toward a solution. Dine Brands had apparently already made a decision – the next day, RMH would receive a letter terminating the chain’s franchise agreement to operate 41 restaurants in Arizona and Texas. The only way to prevent the takeover, Joyce said, was if RMH sent Dine Brands $US12 million by the end of the day, according to RMH’s filing. Then, sources say, Joyce said there was nothing else to discuss. The call ended. Joyce said that RMH’s shocked reaction, as documented in court filings, is an insincere response. As Jinich and Hersch spoke with individuals at ACON and legal counsel, including bankruptcy lawyers, sources say it became clear that the only possible way to prevent Dine Brands from taking over the Arizona and Texas restaurants would be to file for bankruptcy before RMH received the letter that terminated the agreements. So, the franchisee began the all-night mission to do just that. At 3:30 a.m., RMH filed for Chapter 11 bankruptcy. At 5:59 a.m., Hersch emailed Applebee’s and Dine Brands executives, informing them of the filing. And, at 8:02 a.m., Dine Brands had a letter hand-delivered to RMH stating that the company’s franchise agreement for 41 restaurants in Arizona and Texas had been terminated, effective retroactively as of April 27. 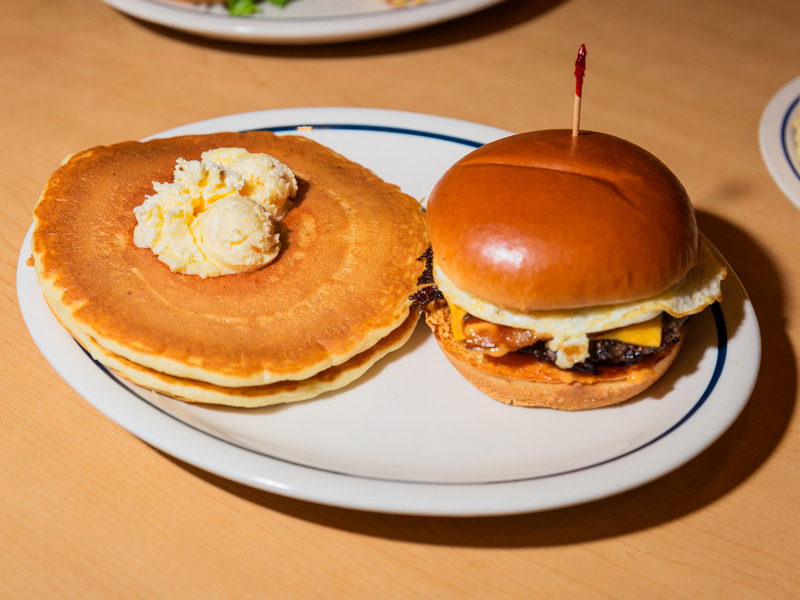 Hollis Johnson/Business InsiderEven IHOP’s temporary name change to IHOb is being used as evidence against Applebee’s. 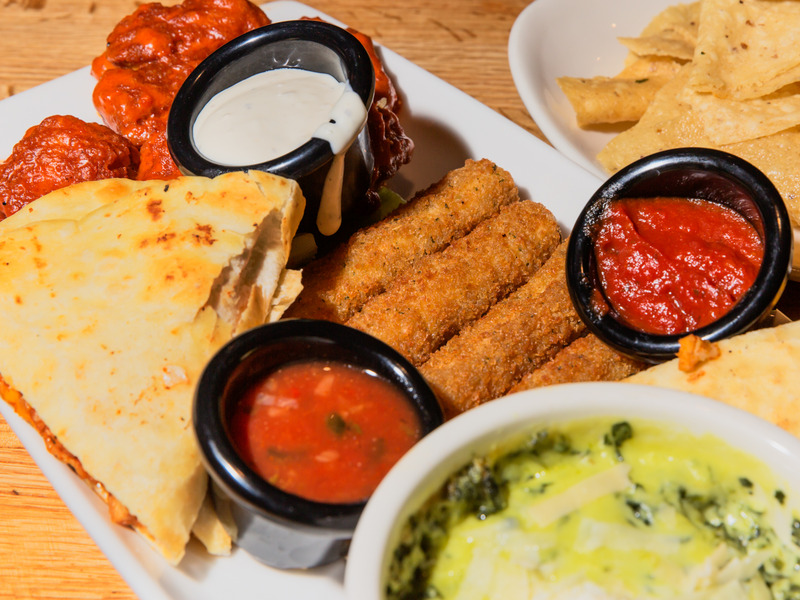 In the wake of the drama of early May, both sides have been trying to stake their claim to RMH’s Applebee’s locations, specifically, the Arizona and Texas spots. On the ground, RMH’s 146 Applebee’s locations are still up and running. The franchisee has closed 13 restaurants in the months following the bankruptcy filing. On May 25, Dine Brands filed a complaint demanding that RMH surrender the Arizona and Texas restaurants and stop using Applebee’s branding in other restaurants. Dine Brands estimates the damages suffered by Applebee’s at the hand of RMH to exceed $US23 million, including more than $US12 million in unpaid royalties and other fees, plus an additional $US10 million in lost payments from RMH restaurants that closed without Dine Brands’ permission. RMH filed a counterclaim in June, denying that Dine Brands terminated the franchise agreement before the bankruptcy filing. According to RMH, conversations in late April and early May between representatives from RMH and Dine Brands, as well as a lack of final notice, prove that the agreement was not terminated, at least until after RMH had declared bankruptcy. “We want a solution that protects the system, because they were hurting the system,” Joyce said, saying it is too early to know what the exact solution will be.